We’ll be formulating a proposal for the Seattle Department of Neighborhoods Small and Simple Projects Fund. Think along the lines of projects that demonstrate a capacity to build a stronger and healthier community, and “provide a public benefit and be free and open to all members of the public, and emphasize self-help, with project ideas initiated, planned and implemented by the neighbors and community members who will themselves be impacted by the project.” To quote the grant guidelines. 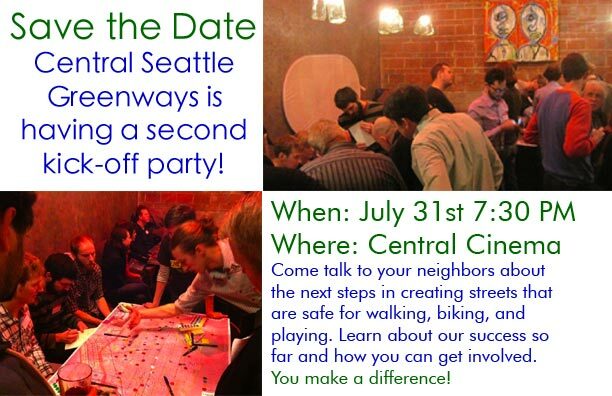 Email centralseattlegreenways@gmail.com to RSVP or with questions! March 4 at 2pm (location TBD) for a neighborhood route ride. Additional information is forthcoming. As per usual, information is available here, on our FB page and twitter (@CSGreenways). 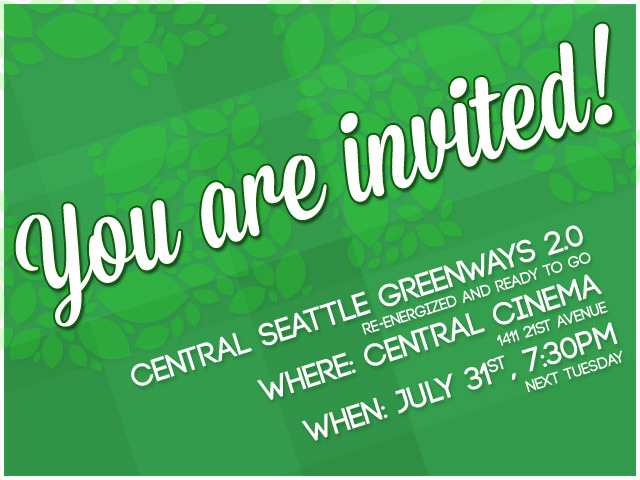 On Thursday, February 9th, Central Seattle Greenways hosted its first community meeting at Central Cinema. Attended by nearly fifty Central District, Capitol Hill, First Hill, Madrona, Leschi, and Montlake residents, the initial meeting connected neighbors and generated ideas for how CSG should effectively advocate for safe, comfortable, and family-friendly neighborhood streets. The evening began with brief introductions and an overview of neighborhood greenways – courtesy of the ever-popular Streetfilms – followed by updates from Bob Edmiston on Madison Park’s greenway efforts and Mike Kent on the sensational Melrose Promenade project. The outreach and community engagement group started with introductions, including why they were there, existing community ties and engagement, major interest areas and how they think they can help increase involvement from the broader community. The group discussed various outreach and community engagement options, paying special attention to how to involve groups and individuals that are traditionally underrepresented in discussions about neighborhood and transportation planning. The group discussed avenues that other greenways groups used to begin this broader community engagement including summer block parties, multi-lingual outreach materials, and mailers. A central theme was how grade school students, their families, and schools could be integrated into greenway advocacy and planning as well as supporting bike to school programs and bike safety education. Engaging communities of faith, large institutions (Group Health, Swedish and Seattle University), businesses, neighborhood organizations and other neighborhood greenway groups was also discussed. The route development group dove into the details of identifying east-west and north-south routes through Central Seattle. Discussions about routes were lively and dynamic. Everyone learned something new just by taking the time to draw on a map and talk about the community’s streets with other neighbors. 1. An east-to-west route in the Cherry Street corridor. Columbia was a strong candidate, stretching from First Hill to just east of MLK. This project could be an opportunity to partner with Seattle U and connect Swedish campuses on First Hill and Cherry Hill. It would serve Garfield High School and Community Center, Coyote Central and the Cherry Street arts district, the historic Horace Mann building, and many of the neighborhood’s most original and defining restaurants, and could easily connect to a future route south into Leschi. Connecting to Madrona would be difficult due to grades, though options could be explored. Connecting to Marion on First Hill would require changes at Broadway, which could be an opportunity to partner with the First Hill Streetcar and the planned plaza there. 2. A family-friendly alternative to 34th Ave in Madrona. Suggestions included 32nd and 33rd Avenues. A family-friendly Madrona Drive could do wonders for family biking in the neighborhood, as it is the only real option for accessing the waterfront on wheels. There may also be opportunities to make connections between existing staircases and any neighborhood greenways to improve the walking environment. 3. A route connecting Judkins Park and Volunteer Park. This would provide a long, efficient and reasonable grade route across the neighborhood. Though there was no clear consensus on which roads are best for this, one idea would have been for a route the goes more-or-less on top of the “ridge” through the neighborhood. This would use 20th, 19th, and 18th Avenues south of Madison, and could connect to 16th or 18th Avenues north of Madison as a family-friendly alternative to 15th and 19th. This could connect Interlaken Park (a key route to the University and Montlake Bridges) to Judkins Park, the I-90 Trail and the future Sound Transit East Link light rail station. Challenges include crossings at Jackson, Yesler, and Madison as well as possible park trail enhancements and connections. 4. The Melrose Promenade. 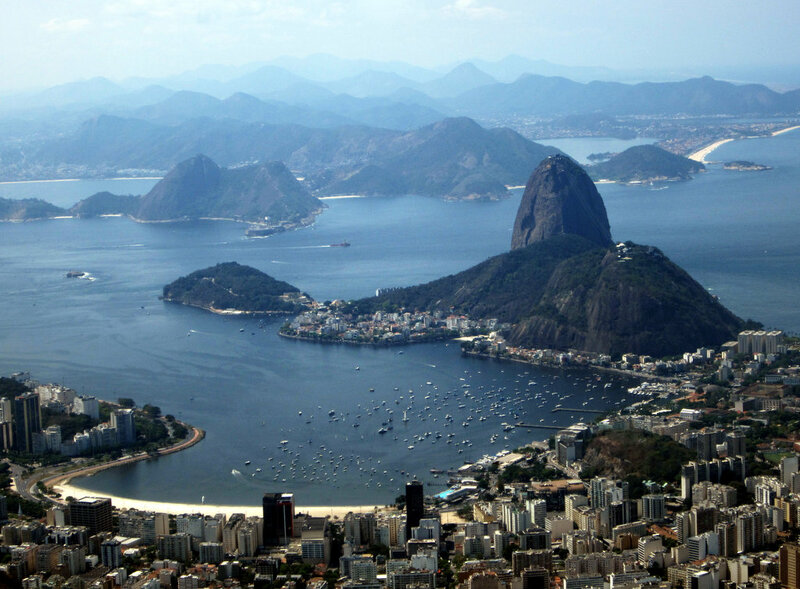 Already in the works, this project received full support from the group. Whatever we can do to help make that project happen, we should. Melrose could easily be the coolest street in the city, and could raise awareness about the nearby I-5 trail through Bellevue Place Park while making a safer connection to Pine Street. 5. An east-to-west route between Cal Anderson and Volunteer Park. Republican got a lot of support, as did Denny Way east of Broadway. This could be another opportunity to partner with the First Hill Streetcar and the Broadway light rail station, as the greenway could potentially connect to the planned Broadway cycle track if it is factored into the station plaza design. This could then connect to the previously mentioned north-south route. 6. A north-south alternative to Broadway. Federal between Thomas St and Miller St is a great option, but it needs to be repaved badly. 7. A north-south route through Madison Valley. This rould would need to connect to the Montlake and Madison Park plans at the north. 27th between Madison and Columbia (or even as far south at the I-90 Trail) was one suggestion as an alternative to MLK. 29th is also commonly used.